Are People Disappearing into Planetary Portals? As a recent resident of the Pacific Northwest it has been brought to my attention just how many people have disappeared into thin air around here! What’s more, these cases cluster around National Parks and feature extremely strange circumstances — as documented in David Paulines’ Missing 411 book series. Besides presenting over 1, 400 unsolved US/Canadian cases in his books (complete with location maps), he also reveals that the agencies who traditionally cooperate with such independent investigations instead tried to deflect his inquires and limit his access to information! One doesn’t have to ponder this map long to notice the large number of mysterious disappearances cluster around locations that have a reputation for strange activity throughout their history. Places like Yosemite, Mount Shasta and Crater Lake have long been revered (and feared) by indigenous people as as sacred lands that are the domain of gods and no place for mortal men to visit. Many legends tell stories of those who set off to explore these places never returned. Know what’s even weirder??? If found, the remains of these missing people are discovered months later in impossible places with inexplicable circumstances — like missing shoes in rugged terrain and even clothes removed and folded neatly. While investigating one incident the police tried to locate a perfectly healthy missing man, Cullen Finnerty, by “pinging” his phone, only to have an inexplicable stream of locations returned as possible targets at the time of his disappearance. Okay, these mysteries trigger my “portal detector” reflexes and cause me to question just what might be going on in our national parks — is this why they are “set aside” with restricted access in the first place? Luckily, I found I wasn’t the only writer pondering this idea, Jack Cary at the Paranormal Mysteries blog was asking the same kind of questions! Are some sacred mountains actually the stumps of giant trees that once served as portals between dimensions? Despite myself I have become intrigued by the theory set out in the strange video entitled There Are No Forests on Flat Earth, an annoying presentation that nonetheless makes me wonder about the existence of Giant Silicon Trees on Earth in our remote past. The theory states that such silicon-based trees once served as ‘bridges between worlds’ and evidence of their existence could be found all over the planet. These trees were harvested long ago for their precious minerals and gems (we can only mine their roots) leaving only massive mountain-sized stumps that geologist attribute to tectonic plate mountain building and erosion. Places like Devil’s Tower in Wyoming, the Giant’s Causeway in Ireland and Mount Roraima in Venezuela are all cited as examples of stumps left after Giant Trees were cut down, either deliberately or as a result of violent earth changes. The theory further states that scrap minerals from these felled trees and mining operations were piled up to create chemical volcanoes that will continue to ignite and create fresh raw materials. According to this theory, even the biggest carbon-based trees in our modern-day world are mere bushes compared to the ancient Giant Trees. The legends of World Trees that reach to Heaven exist on every continent and such locations are intricately associated with strange inter-dimensional type phenomenon. Many legends specify that the sacred mountain is situated on the cardinal points to create a horizontal/vertical access bridge between dimensions! Makes me wonder if this modern Stargate technology I suspect is being developed is simply mimicking these organic portals between the dimensions that were damaged in our distant past? Must say, it validates my theory that it takes extreme cold to crack the wall between dimensions… mountains are definitely some of the coldest places on the planet! So I ask myself, could some of these destroyed tree portals be quasi-operational, perhaps during certain times of year, and when innocent people inadvertently step into their field they “disappear” and are never seen again? I mean, there is that strange video of the guy who shows how he opened a portal to Sedona, Arizona in his bedroom…and he’s never posted again! Also, are these covert inter-dimensional technologies being kept hidden from the public by weaving them into movie plot lines? Have we been given clues about the portals of the ancients but find it hard to make the leap because we have been conditioned to think it is all just fantasy? This all builds on my growing suspicions about the existence of highly advanced North American Ancient Civilizations that were annihilated by the Mudflood reset, harvested in the Gold Rush and covered up by Controller organizations like the Smithsonian. 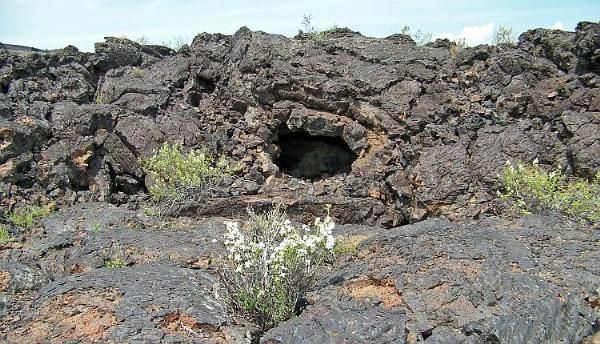 These kind of natural portals might also explain a lot about why Federal Parks are where they are…I mean what better way to keep the curious from digging around for proof? I mean really, we need to spend Federal money protect 750,000 acres of lava wasteland in Craters of the Moon National Park? All very suspicious if you ask me! ~ by weewarrior on January 10, 2017.